It’s hard to imagine Britain having different time zones. Yet it’s well under 200 years since Britain had the same time across the nation. The railways created the need for the whole of Britain to be on the same time. When life moved at a horse’s pace, it didn’t matter that Cardiff time was some 15 minutes behind London’s. Time was local – determined by a sundial. But when the steam engine took people hundreds of miles within hours, the idea of a common time became urgent. Railway time or London time was the result. Brunel’s Great Western Railway provided the impetus, along with the electric telegraph. In November 1840, the GWR adopted Greenwich Mean Time for its timetable, followed by almost all our railways by 1848. It meant that Bristol was no longer 10 minutes behind London. By 1855, almost all towns in Britain had adopted the unified time, although this only had legal force in 1880. Within 50 years of the GWR’s move, most major countries followed suit, although larger countries did so with multiple time zones. Bristol time. Photo: Rod Ward, via Wikipedia. 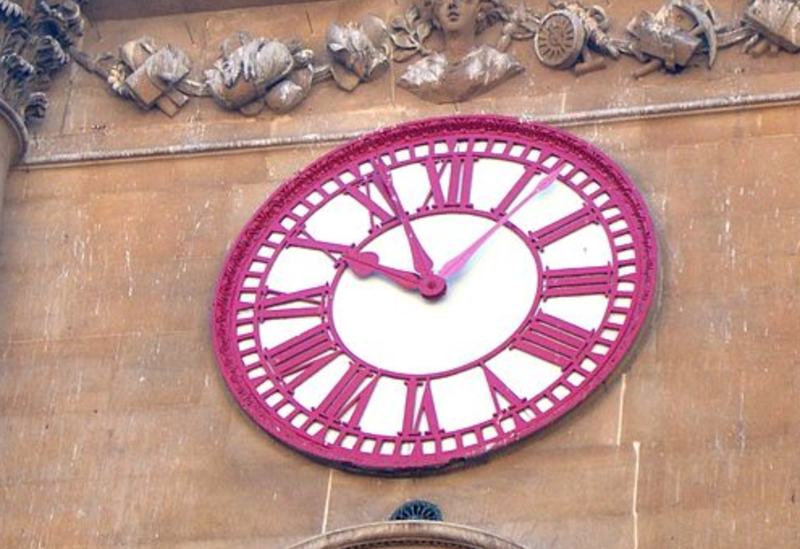 Yet to this day, Bristol’s Exchange clock shows two minute hands: one for London time, the other for Bristol time. It’s a timely reminder of the days when time was a moveable concept in these islands. This entry was posted in Britain, History, Railways and tagged Brunel, GMT, GWR, railway time by Rob Skinner. Bookmark the permalink.